Water chestnut flour is made from dried, ground water chestnuts. The nuts are boiled, peeled and then ground into flour. The flour, which is actually a starch rather than flour is white cream in colour. Its primary use is as a thickening agent and to make batters for deep frying in Indian and Asian cooking. When used as a thickener, water chestnut flour is usually stirred into water first before it is added to hot liquids and sauces. This technique reduces the formation of lumps that may otherwise occur (similar to cornstarch). Foods that are to be fried can be dredged in water chestnut flour to create a coating on the food. Water chestnut flour is available in some large food stores, natural and health food stores, and in Asian markets. Water chestnut flour keeps well in a sealed container in a cool, dry, and dark location. 1. 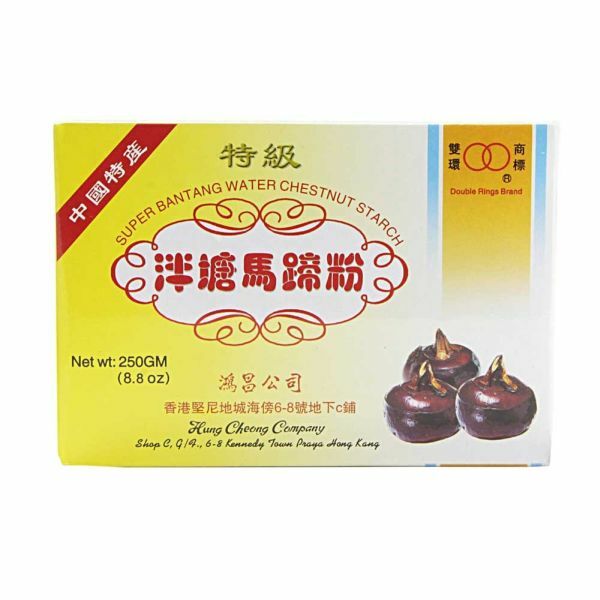 Select water chestnut flour, which is white and powdery, without any lumps or discoloration. 2. Check the expiry date before buying flour. 1. Water chestnut flour can be used to make pancakes, puris and chapattis especially on fasting days when cereals are shunned. 2. Their main culinary usage is as a thickener and they are used to batter-fry paneer and vegetables. 3. The flour may also be used to make bread, cakes and cookies. 1. Water chestnut flour is a good source of potassium and fibre. 2. It is low in sodium and fat. 3. However, water chestnut flour is high in carbohydrates. Recipes using Water Chestnut Flour see Here and Here and Here.